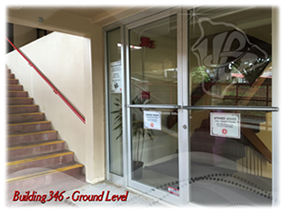 Upward Bound at the University of Hawaiʻi at Hilo provides a variety of services and activities to assist eligible high school students reach their college & career goals! * Only applications with original signatures will be processed. To assist low-income and first-generation college bound program participants in acquiring and/or developing the skills and motivation necessary to complete a Baccalaureate Degree (4-year college degree). To provide instruction, activities and services resulting in participants who will be academically, socially, financially, and emotionally successful in college and beyond. The history of TRiO is progressive. It began with Upward Bound, which emerged out of the Economic Opportunity Act of 1964 in response to the administration’s War on Poverty. In 1965, Talent Search, the second outreach program, was created as part of the Higher Education Act. In 1968, Student Support Services was authorized by the Higher Education Amendments and became the third in a series of educational opportunity programs. By the late 1960’s, the term "TRiO" was coined to describe these federal programs. Over the years, the TRiO Programs have been expanded and improved to provide a wider range of services and to reach more student who need assistance. The Higher Education Amendments of 1972 added the fourth program to the TRiO group by authorizing the Educational Opportunity Centers. The 1976 Education Amendments authorized the Training Program for Federal TRiO Programs. Amendments in 1986 added the sixth program, the Ronald E. McNair Post-baccalaureate Achievements Program. Additionally, in 1990, the Department created the Upward Bound Math / Science program to address the need for specific instruction in the fields of math and science.